This design was selected and built for racing as a one-design class in the RORC Admirals Cup Series (1998? ), but never achieved a following after this particular event. 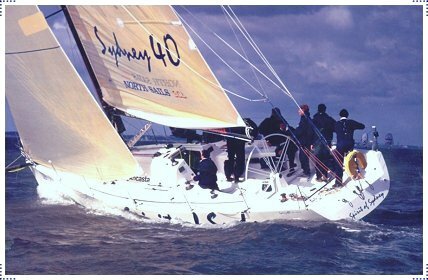 A shortened version, (using the same molds) was later introduced as the SYDNEY 38.